Kick off your visit on the 18th (Wed): enjoy the sand and surf at The Strand. Get ready for a full day of sightseeing on the 19th (Thu): identify plant and animal life at Billabong Sanctuary and then take in the pleasant sights at Castle Hill. You can plan Townsville trip in no time by asking Inspirock to help create your itinerary. Sydney to Townsville is an approximately 5-hour flight. You can also drive; or take a train. Plan for somewhat warmer temperatures traveling from Sydney in July, with highs in Townsville at 29°C and lows at 17°C. Finish up your sightseeing early on the 19th (Thu) so you can travel to Cairns. You'll explore the less-touristy side of things at Michaelmas Cay and Spy & Camera Museum. Get a sense of the local culture at Historic Village Herberton and Rainforest Gems Gallery & Studio. Explore the numerous day-trip ideas around Cairns: Palm Cove Beach (in Palm Cove), Australian Butterfly Sanctuary (in Kuranda) and Wooroonooran National Park (in Topaz). There's lots more to do: kick back and relax at Trinity Beach, soar above the sights with a balloon tour, and admire the natural beauty at Botanical Gardens. To see maps, ratings, traveler tips, and more tourist information, read our Cairns trip planner . You can fly from Townsville to Cairns in 2 hours. Alternatively, you can drive; or take a bus. In July, daily temperatures in Cairns can reach 30°C, while at night they dip to 20°C. Finish your sightseeing early on the 24th (Tue) to allow enough time to drive to Port Douglas. Explore hidden gems such as Cow Bay Beach and Shannonvale Tropical Fruit Winery. Take a break from the city and head to Agincourt Reef and Wildlife Habitat Port Douglas. 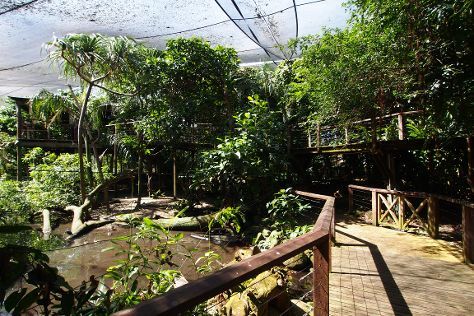 Take a break from Port Douglas with a short trip to Daintree Discovery Centre in Cow Bay, about 1h 20 min away. The adventure continues: identify plant and animal life at Mossman Gorge and soothe aching muscles at some of the top local wellness centers. To find more things to do, other places to visit, reviews, and other tourist information, you can read our Port Douglas vacation site . Getting from Cairns to Port Douglas by car takes about 1.5 hours. Other options: take a shuttle; or do a combination of bus and shuttle. In July in Port Douglas, expect temperatures between 30°C during the day and 20°C at night. Finish up your sightseeing early on the 27th (Fri) so you can travel to Darwin. Discover out-of-the-way places like Darwin Aviation Museum and Berry Springs Nature Park. 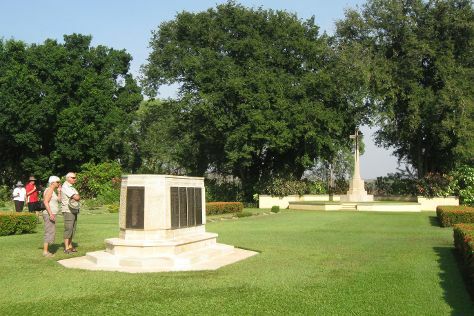 Do some cultural sightseeing at Adelaide River War Cemetery and Defence of Darwin Experience. Go for a jaunt from Darwin to Batchelor to see Litchfield National Park about 1h 50 min away. Spend the 29th (Sun) wandering through the wild on a nature and wildlife tour. The adventure continues: race across the water with a speed boat tour and look for all kinds of wild species at Crocosaurus Cove. To see maps, ratings, traveler tips, and more tourist information, refer to the Darwin vacation planner . You can do a combination of shuttle and flight from Port Douglas to Darwin in 7.5 hours. Other options are to drive; or do a combination of shuttle and bus. Traveling from Port Douglas in July, expect nights in Darwin to be about the same, around 22°C, while days are somewhat warmer, around 36°C. Wrap up your sightseeing on the 1st (Wed) early enough to drive to Jabiru. Jabiru is a town in the Northern Territory of Australia. You'll explore the less-touristy side of things at Jim Jim Falls and Ubirr. Your cultural itinerary includes sights like Maguk Gorge and Motor Car Falls. Next up on the itinerary: steep yourself in history at Nourlangie Rock. To see other places to visit, ratings, photos, and tourist information, use the Jabiru travel itinerary planner. Traveling by car from Darwin to Jabiru takes 2.5 hours. Alternatively, you can take a bus. Wrap up your sightseeing on the 4th (Sat) early enough to travel to Broome. Visiting Dolphin & Whale Watching and Nature & Wildlife Tours will get you outdoors. Get some cultural insight at Broome Historical Museum and Catholic Diocese of Broome. There's lots more to do: enjoy the sand and surf at Roebuck Bay, look for all kinds of wild species at Malcolm Douglas Crocodile Park and Animal Refuge, tour the pleasant surroundings at Cable Beach, and pause for some serene contemplation at Our Lady Queen of Peace Cathedral. To find where to stay, other places to visit, ratings, and more tourist information, go to the Broome online trip maker . You can do a combination of bus and flight from Jabiru to Broome in 8 hours. Other options are to do a combination of car and flight; or drive. Traveling from Jabiru to Broome, you'll gain 1 hour due to the time zone difference. In August, plan for daily highs up to 36°C, and evening lows to 17°C. Wrap up your sightseeing on the 9th (Thu) early enough to travel to Margaret River. Do some cultural sightseeing at Firetail Wines and Water wheel. Eschew the tourist crowds and head to Dolphin & Whale Watching and Sunflowers Animal Farm. Explore the numerous day-trip ideas around Margaret River: Augusta (Jewel Cave & Cape Leeuwin Lighthouse). There's still lots to do: kick back and relax at Surfers Point, explore the fascinating underground world of Lake Cave, learn about winemaking at Redgate Wines, and tour the pleasant surroundings at Cowaramup Bay. For other places to visit, ratings, traveler tips, and tourist information, refer to the Margaret River road trip site . Getting from Broome to Margaret River by combination of flight and bus takes about 9 hours. Other options: drive; or do a combination of bus and train. Wrap up your sightseeing on the 13th (Mon) early enough to travel to Alice Springs. 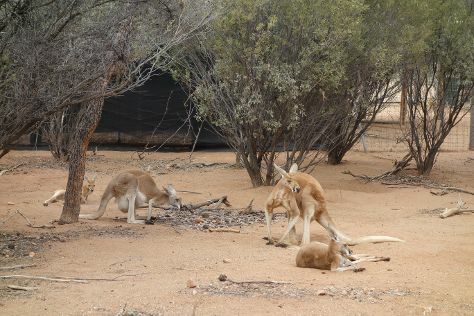 On the 14th (Tue), look for all kinds of wild species at Alice Springs Desert Park, then take in the dramatic natural features at The Emily and Jessie Gaps Nature Park, and then get great views at Anzac Hill. Get ready for a full day of sightseeing on the next day: steep yourself in history at Alice Springs Telegraph Station Historical Reserve, then look for all kinds of wild species at Alice Springs Reptile Centre, and then take your sightseeing to a higher altitude at Mount Gillen. To see other places to visit, photos, ratings, and other tourist information, read our Alice Springs route planner . Do a combination of bus and flight from Margaret River to Alice Springs in 9.5 hours. Alternatively, you can drive; or do a combination of bus and train. Traveling from Margaret River to Alice Springs, you'll lose 1 hour due to the time zone difference. In August, plan for daily highs up to 27°C, and evening lows to 5°C. Finish your sightseeing early on the 15th (Wed) so you can travel to Uluru-Kata Tjuta National Park. Get in touch with nature at Valley of the Winds and Walpa Gorge. Your cultural itinerary includes sights like Kuniya Walk and Walkatjara Art. The adventure continues: take in the awesome beauty at Kata Tjuta, take an in-depth tour of Uluru-Kata Tjuta Cultural Centre, take in the dramatic natural features at Uluru, and hike along Uluru Hiking Path. To find more things to do, ratings, where to stay, and other tourist information, refer to the Uluru-Kata Tjuta National Park road trip planning tool . You can do a combination of taxi and flight from Alice Springs to Uluru-Kata Tjuta National Park in 2 hours. Another option is to drive. 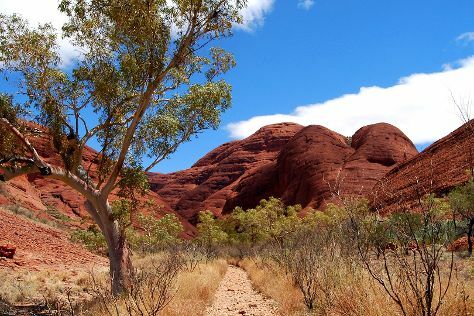 August in Uluru-Kata Tjuta National Park sees daily highs of 27°C and lows of 6°C at night. Wrap up your sightseeing on the 18th (Sat) to allow time to travel back home.